Built for the Sheer joy of riding, the all – new Street Triple S serves up a thrilling, agile and addictive ride every day. 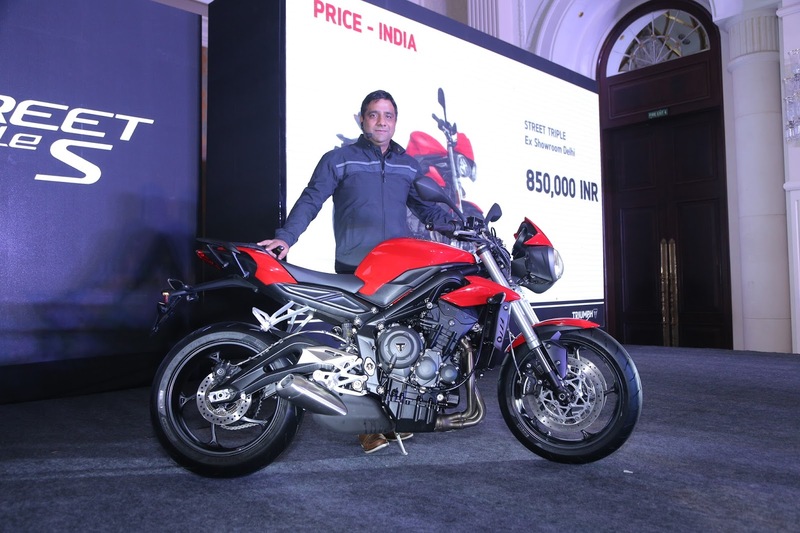 Today with the launch of the all-new 2017 Street Triple S here in India - Built for the Sheer joy of riding, the all – new Street Triple S serves up a thrilling, agile and addictive ride every day. Today with the launch of the all-new 2017 Street Triple S here in India, Triumph has torn up the rule book up all over again - Built for the Sheer joy of riding, the all – new Street Triple S serves up a thrilling, agile and addictive ride every day. With a new race bred 765cc engine that has a new level of power and torque, new state of the art technology, the highest ever level of suspension, brakes and tyres, aggressive new looks and class leading weight – the Street Triple S sets a whole new benchmark. Introducing the Street Triple S, with its own unique tailor made level of power, performance, technology and suspension. 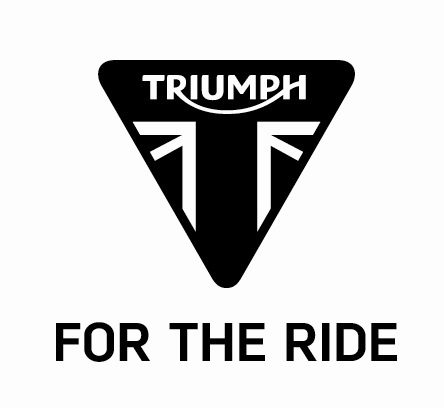 All backed up by Triumph’s highly regarded capability, confidence and agile control. Built to deliver a thrilling, agile and addictive everyday ride. With its new street fighter looks, the highest level of finish ever, lighter than its predecessor with higher spec brakes, tyres, suspension and all-new gullwing swing arm. Developed from the celebrated race bred ‘Daytona’ engine, the new 765cc Street Triple engine delivers a major step up in power and torque. With more than 80 new parts across the range including new crank, pistons and Nikasil plated aluminium barrels and an increased bore and stroke. The result is a significant advance in performance, particularly low-down and in the mid-range. The model come with its own unique engine set-up, ECU and tune, tailored to deliver the character, power and performance best suited to the bike’s style of ride and rider. The ‘S’ tune provides more peak power than the previous generation with 113PS @ 11,250rpm and delivers peak torque at 73Nm @ 10,421 rpm. There are riding modes on the Street Triple S which help the rider better harness the increased power and torque in every riding condition. A richer sound track, from a lighter, free flowing exhaust and revised air box delivers an intoxicating and more distinctive induction howl. Stronger than ever acceleration and slicker gear changes are achieved through a combination of revised gearbox geometry and shorter 1st and 2nd gear ratios. The new Street Triple S represents a major evolution in state of the art rider focussed technology for maximum control and safety. - Street Triple S featuring 2 riding modes: Road and Rain. On the Street Triple S there is a fully revised LCD instrument pack, as featured on the latest generation Speed Triple. This allows the rider to select the riding modes, on the move or at a standstill, and access key information from the on-board computer, including odometer, fuel gauge, trip meter and journey distance. For the ‘S’ model this delivers a speedometer, rev counter, riding mode symbol, gear position display, fuel gauge, odometer, trip meter and journey distance. The Street Triple S features the revised switch cubes set-up from the latest generation Speed Triple. On the Street Triple S traction control settings can be managed via the instrument menu, by selecting ‘road’ or ‘rain’ riding modes, each with a dedicated level of traction control built in. This can be added as an accessory option on the Street Triple S. The new Street Triple can be fitted with a quickshifter allowing for clutchless upshifts that are up to 2.5 times quicker than a skilled rider using a standard clutch upshift. The Street Triple S features new LED position light headlights, with the LED position light 4.6x brighter than the previous generation bulb sidelight. generation. This weight reduction combined with the new higher power 765cc engine delivers an amazing power to weight ratio that is key to the game changing performance of the new ‘Streets’ delivering a truly explosive and agile ride. The Street Triple S is fitted with premium Pirelli Diablo Rosso Corsa tyres which deliver sharp and precise handling as well as excellent stability and grip on the road. The new line-up all feature a significant styling evolution to deliver more attitude and a sharper more athletic poise, inspired by the ‘nose-down’ focussed attitude of the latest generation Speed Triples. With over 60 accessories available, selectable via Triumph’s online configurator, riders can take their Street Triple to an even higher level of specification and capability with accessories including Arrow exhausts*, colour coded seat cowl and swing arm protector kit. More contemporary and aggressive lines have been created with all new bodywork, fly screen, radiator, cowls and new integrated air intake. In addition, the seat has been redesigned and restyled to deliver a sharper, sportier separate twin seat set-up without sacrificing rider or passenger comfort. With an incredible attention to detail there is a higher level of finish across the entire motorcycle with many high quality details, including individual colour coded rear sub-frames for each model, re-designed rider heel guards and forged pillion footrest hangers.